The Instituto de Energia e Meio Ambiente (IEMA) carried out two studies, one focusing on economic aspects and the other focusing on sociocultural aspects, about the Xingu Indigenous Territory Clean Energy Project by Instituto Socioambiental (ISA). 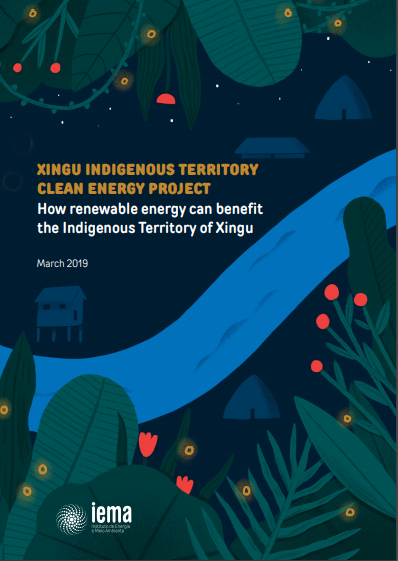 Up until March 2019, 70 photovoltaic systems were installed in 65 communities in the Xingu Indigenous Territory (TIX), with total installed capacity of 33,260 kWp. According to the assessment, the combination of fossil fuel generators with photovoltaic systems could generate an economy of more than R$30,000 per month in federal subsidies. Furthermore, the research showed that local communities prefer renewable energy due to energy security (because it does not depend on fuel supply) and environmental benefits.